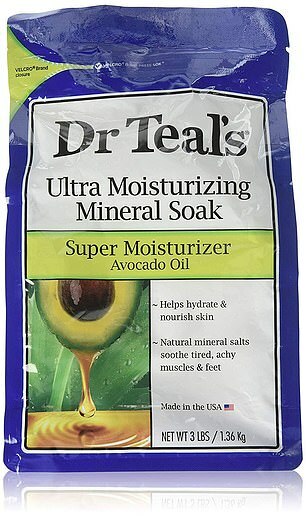 CLAIM: Contains avocado oil, which the maker says ‘hydrates the skin’, and mineral salts to ‘soothe’ a tired body. Pour generous amounts into a running bath and soak for 15 minutes. EXPERT VERDICT: Water alone is very drying — and having a bath can irritate the skin of those with conditions such as psoriasis. Salts might make the pH of the water more agreeable, so reducing this drying effect. Avocado oil contains vitamin E and omega fatty acids, which may have moisturising effects. But the skin acts as a barrier, so these would sit on the surface rather than penetrating the skin as a medical emollient [moisturiser] would. That said, this soak would bring temporary relief from dry skin, as the oils would coat the skin. 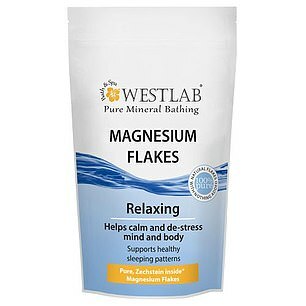 CLAIM: According to the maker, bathing in these flakes tops up your magnesium levels (and it claims that 80 per cent of us are deficient in the mineral). Using these will also ‘support healthy sleeping patterns’ as magnesium is believed to help induce sleep. Pour up to four cups of flakes into a warm bath. CLAIM: This promises to help people ‘breathe easier during the cold, flu and allergy season’. Alongside ‘thermal brine salt’, the key ingredient is eucalyptus. Pour a capful under hot water and bathe for 15 to 20 minutes. EXPERT VERDICT: As well as being a mild anti-inflammatory, eucalyp-tus has a strong scent that will encourage the effort to inhale; people with colds often inhale over a bowl of hot water containing a eucalyptus product. But doing it in the bath may be more effective, as there is a bigger surface area of water. Bath water needs to be hot enough to produce steam, which can ease a blocked nose by helping to thin the mucus in your sinuses, making it easier to dislodge. But a blocked nose is also due to swollen, inflamed tissues, which steaming won’t help. 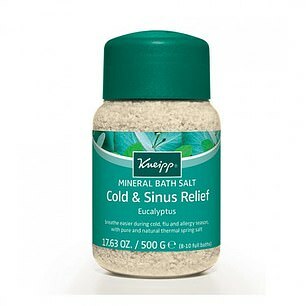 CLAIM: These salts are a source of sulphates, which the maker says are needed for healthy joints. It claims these compounds are difficult to get through food, but are readily absorbed through the skin. For the feet, dissolve one cup in a foot bath and soak for 30 minutes. For a bath soak, dissolve three cups in a full bathtub and soak for 30 minutes. EXPERT VERDICT: Lots of people swear by Epsom salts — or, rather, magnesium sulphate — as a way of relieving aching muscles. 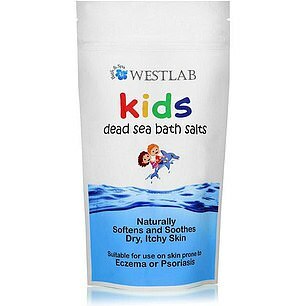 CLAIM: This is said to be suitable for children from three months with eczema and psoriasis. The salts are sourced from the Dead Sea and contain calcium, claimed to ‘help with cell renewing’, potassium ‘to improve skin moisture’ and magnesium to soothe and repair the skin to avoid dryness. 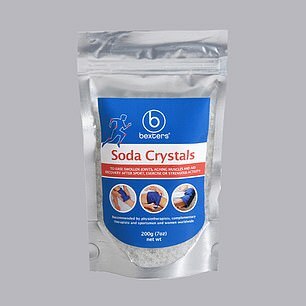 CLAIM: These salts, consisting of sodium carbonate mined in Australia and treated with heat, are said to ease swollen joints, aching muscles and aid recovery after exercise or strenuous activity. According to the maker, they are ‘recommended by physiotherapists, complementary therapists and sportsmen and women’. Dissolve a handful into bath water. EXPERT VERDICT: The sole ingredient, sodium carbonate, is a salt otherwise known as washing soda. I cannot see how this would ease aches and pains after exercise. 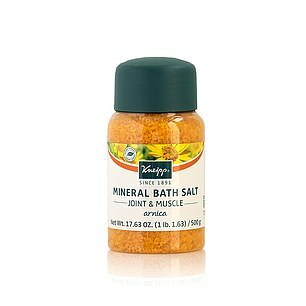 Cramp and muscle aches do arise through a loss of salts, but any absorption in the bath through the skin will be minimal. 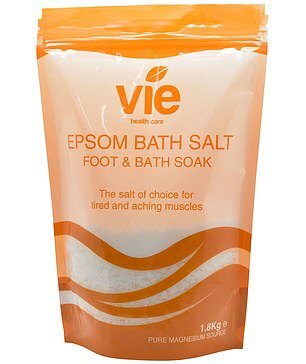 CLAIM: The maker says these arnica salts ‘bring some relief to over-tired, overworked joints and muscles’. It suggests using these directly after a workout. EXPERT VERDICT: Arnica cream has been used for centuries to help with bruising. However, unless you bang yourself and develop a bruise from strenuous activity, I can’t see how arnica would help with muscle wear and tear.